As Apple launched a new emoji in iOS 9.1 smiley face frenzy has bewitched the youngsters this season. A new set of smiling emoticons with curly and wavy hair have been created by Dove. 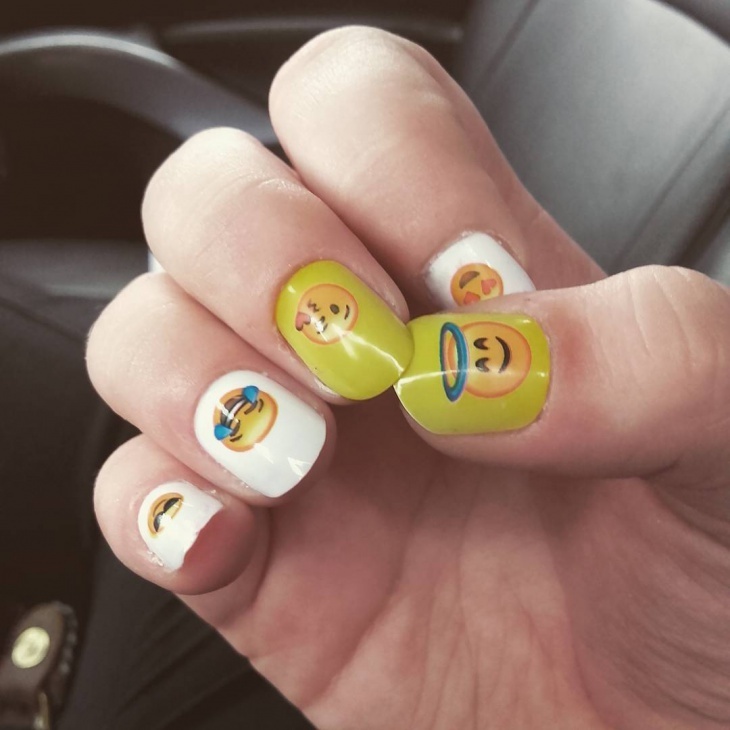 More smiling emojis are on the way, thus the craze for these cute little designs is here to stay. These cute smiley faces are suitable for everyone. Everyone using social media uses emoji. 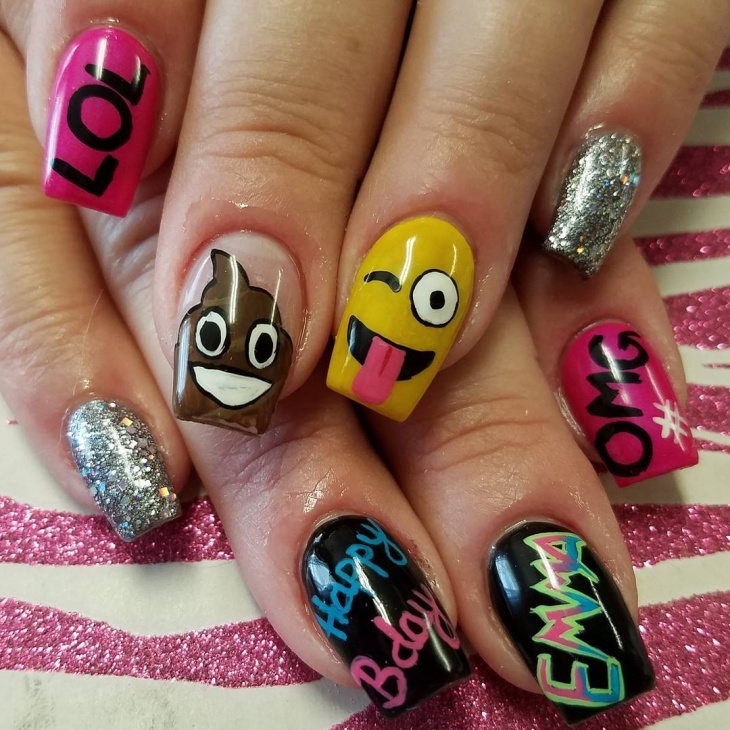 Smiling emojis are common and little obvious, why don’t you try something different like poop emoji? 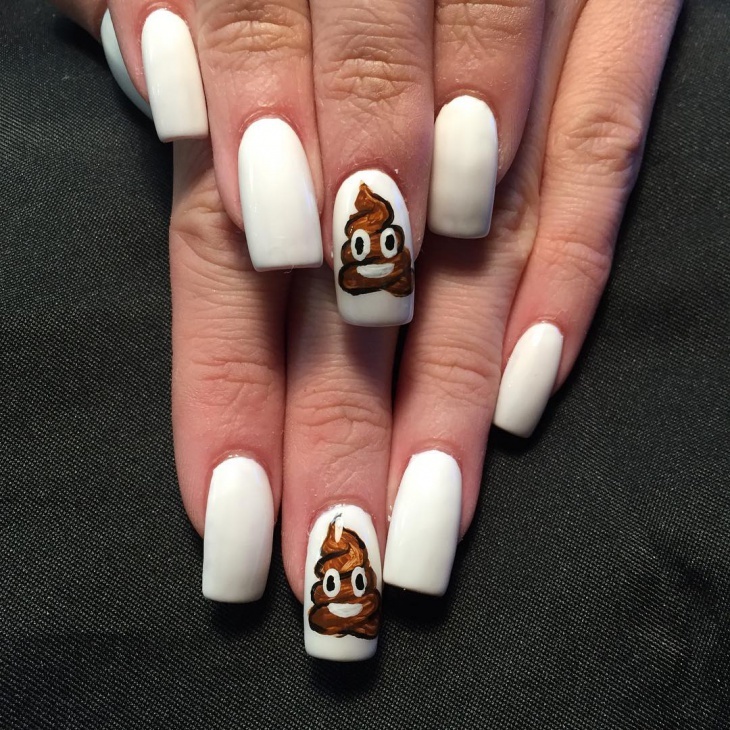 If you are not ashamed of using poop emoji while texting, why don’t you try it out on your nails? Go offbeat and surprise everyone. 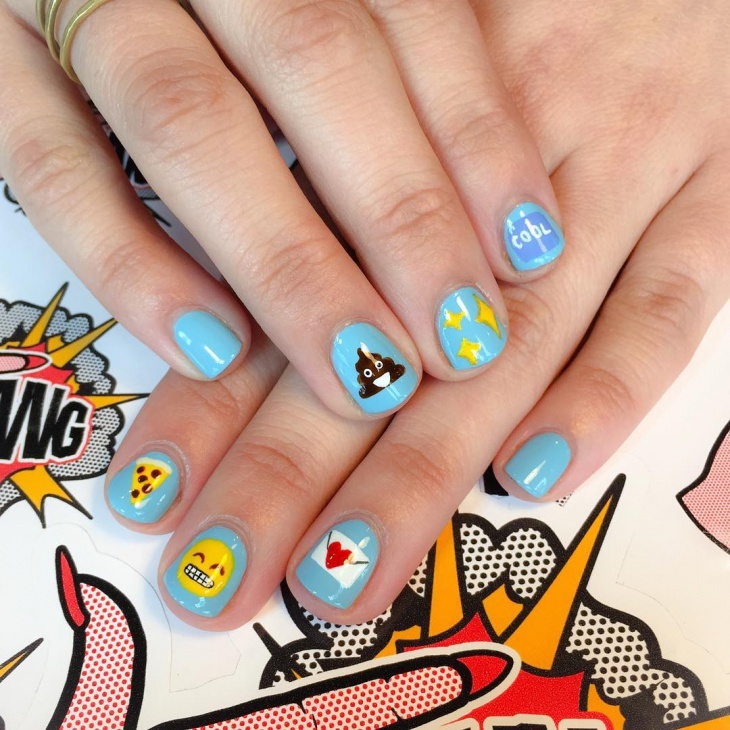 What words can’t emojis illustrate? Different emojis have different meaning and they evolve with time. 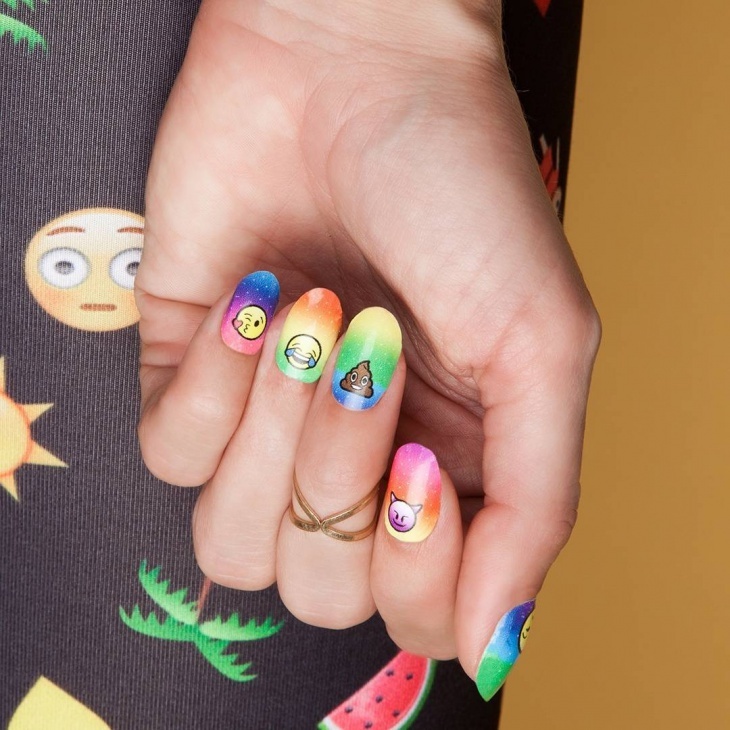 Try out something different by using this emojis on your big-toe nails. 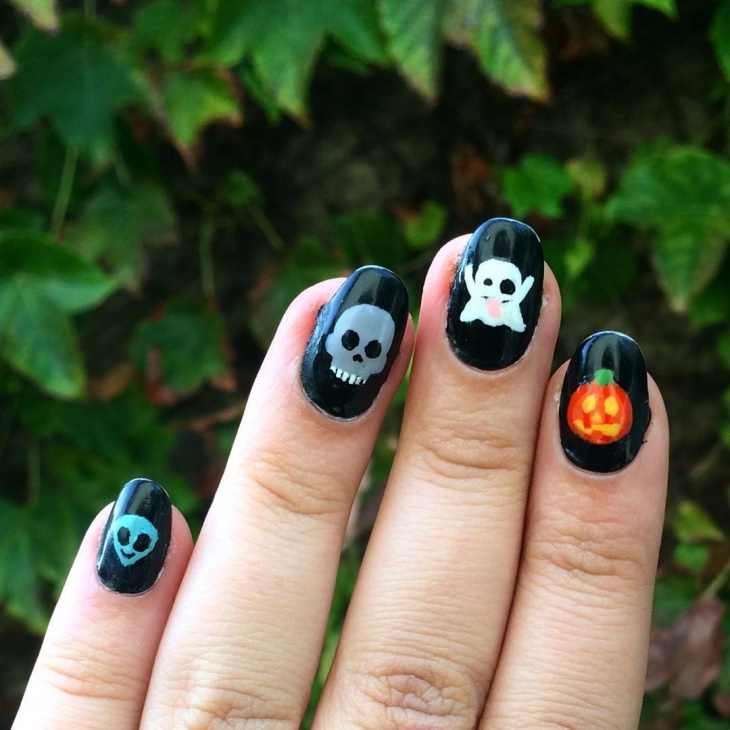 Silly or macabre ghost emoji on your nails can indicate many expressions like responding to your text has been stopped by your fling or your new work life is killing you? 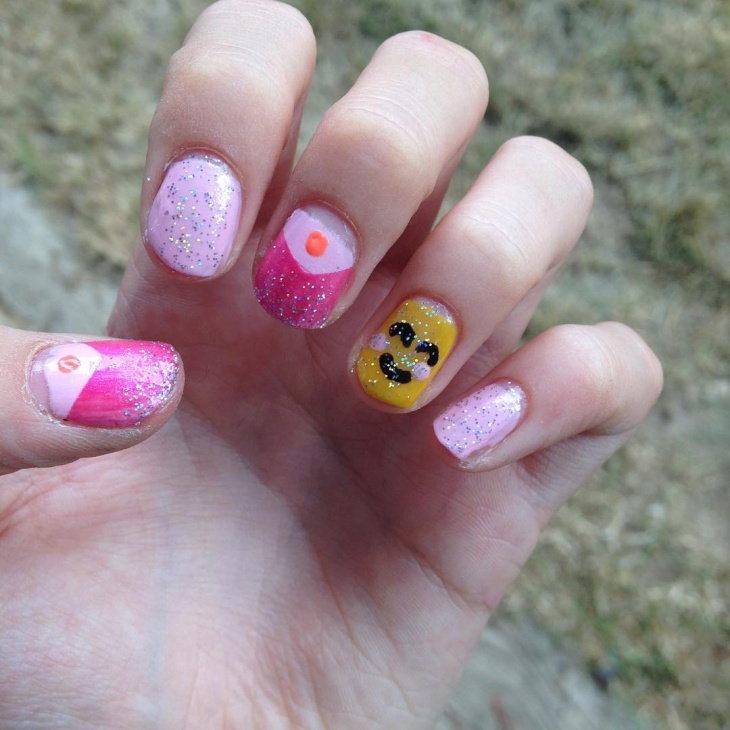 They are not just sweet Halloween but also convey many emotions. 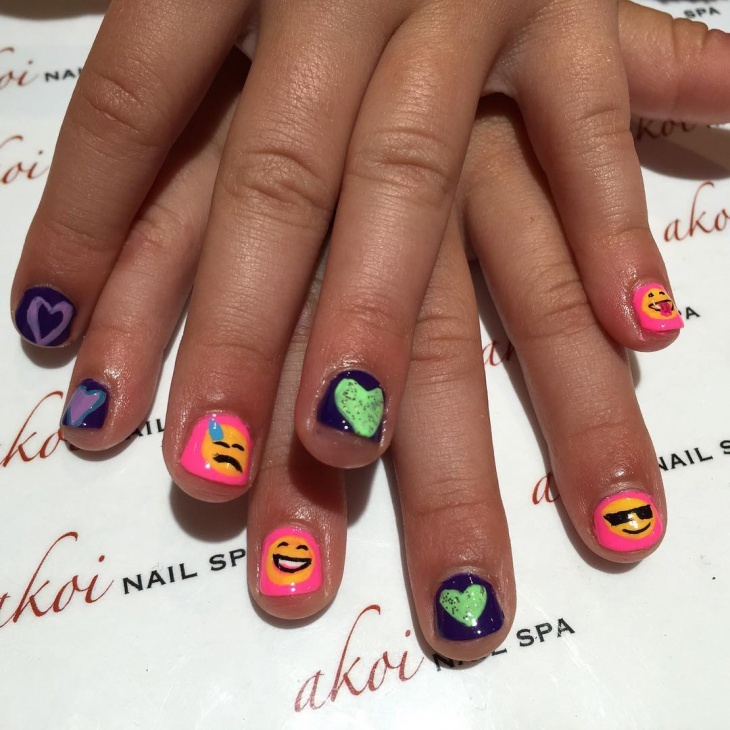 Try out some pink emoji designs on your nails. 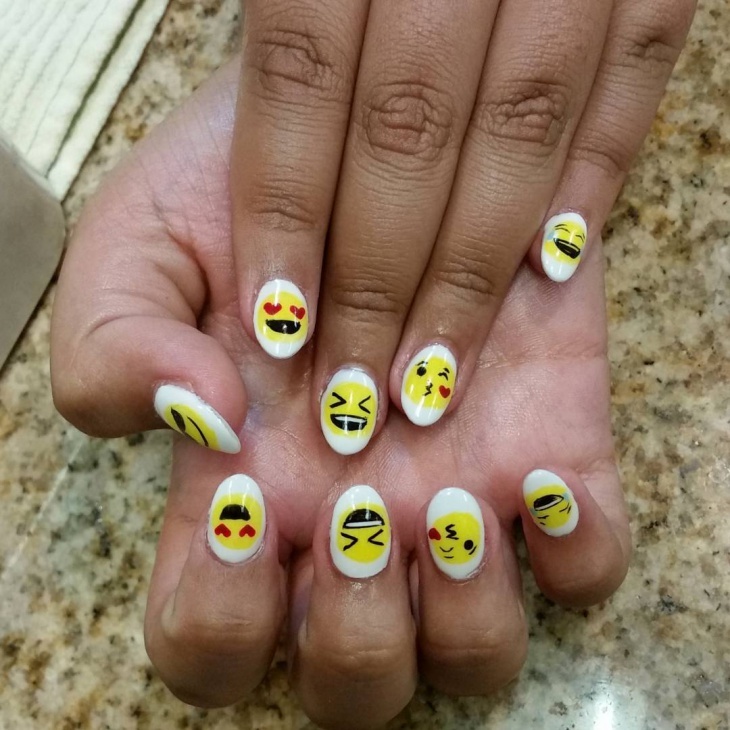 Get a little innovative with your emoji nail art. Pink heart emojis are cute and loveable. 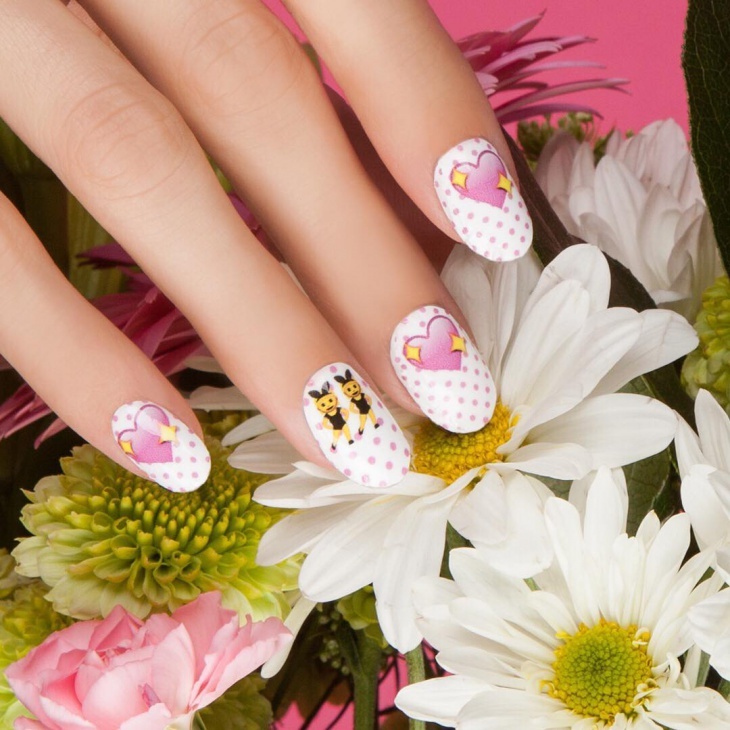 If you love the idea of love you will absolutely adore these pink heart emojis. A new leader has taken over today’s trend. 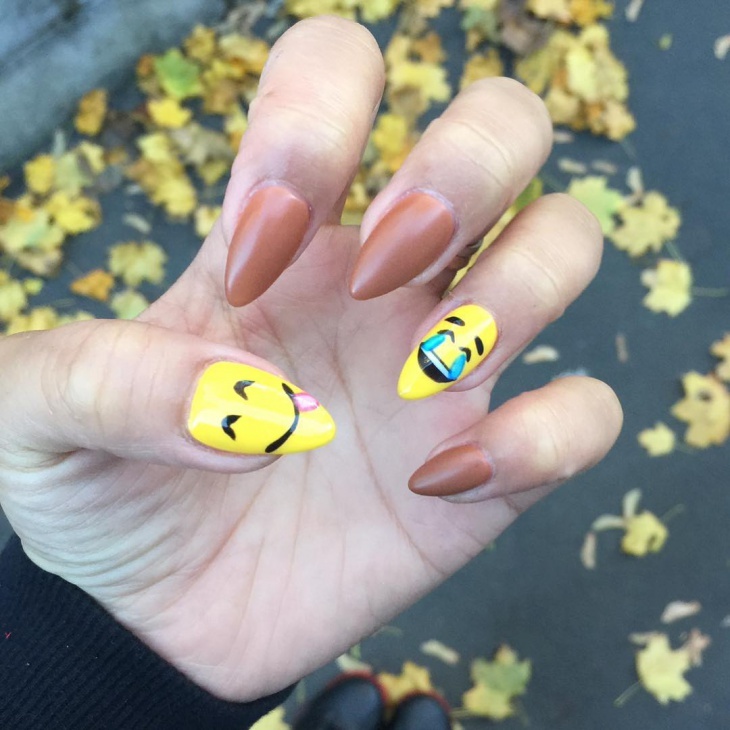 Gel emoji nails are a traditional way of nail manicure with a slight twist. They are creating a buzz in the market. 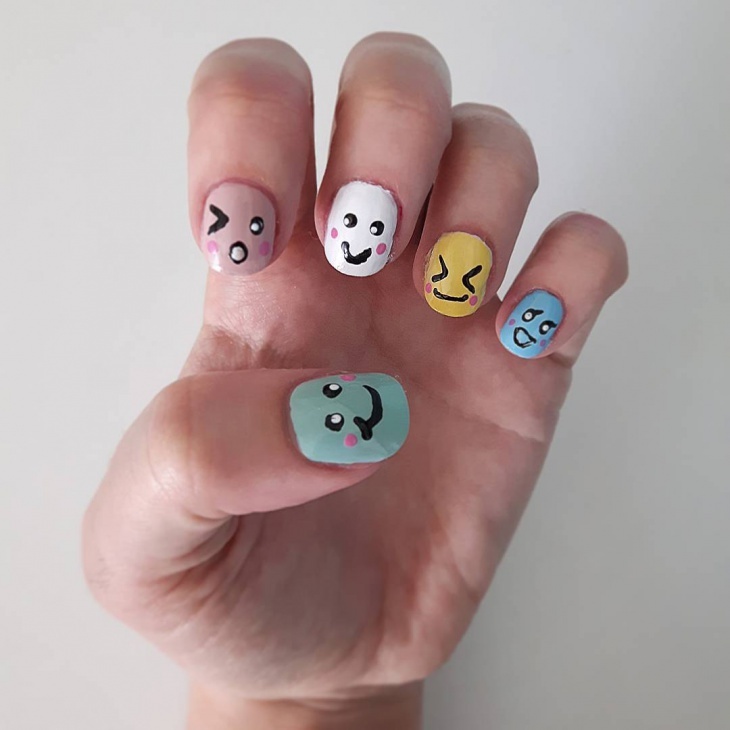 Keep your emotions on your nails. 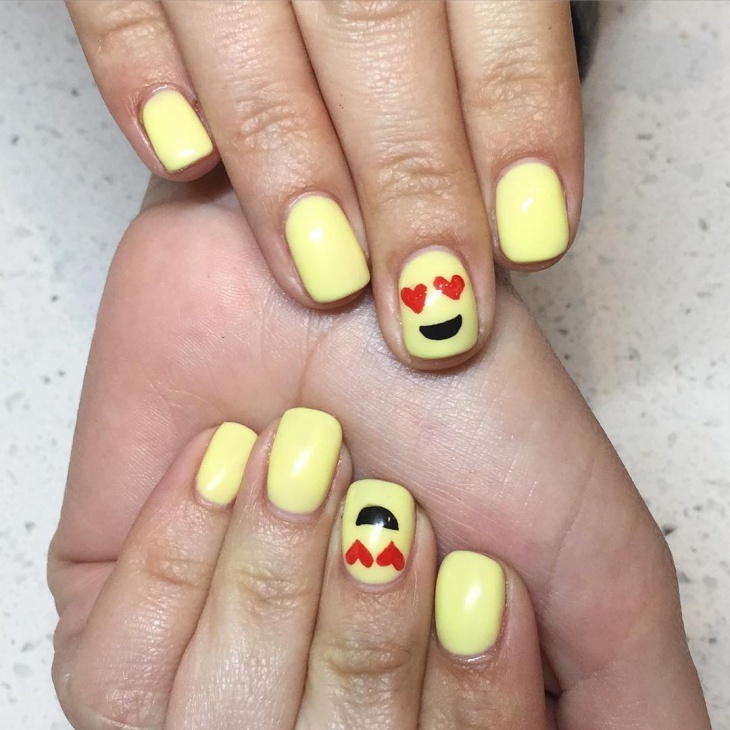 If you want your nails to stand out of the crowd and look unique so that it increases your glamour quotient and gives you a unique style statement you should try out these emoji nail art. 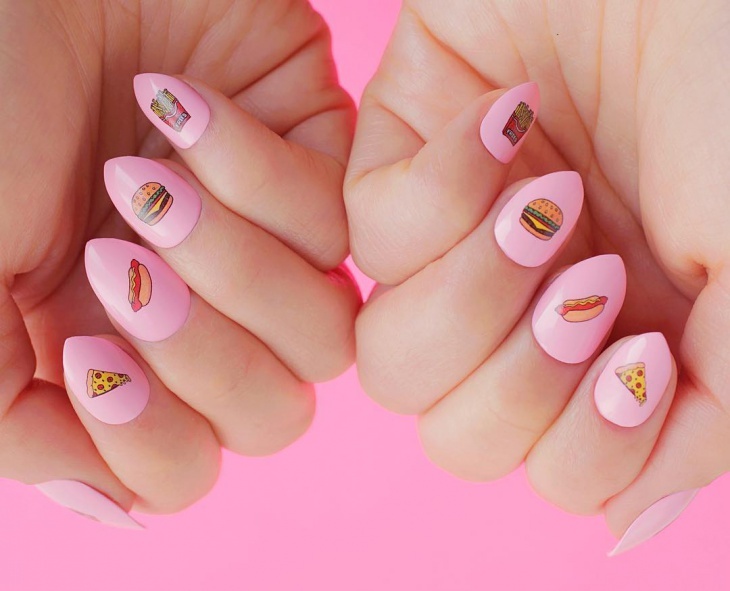 Do you love food? Then you should definitely try out these emojis. They are trendy as well as cute. 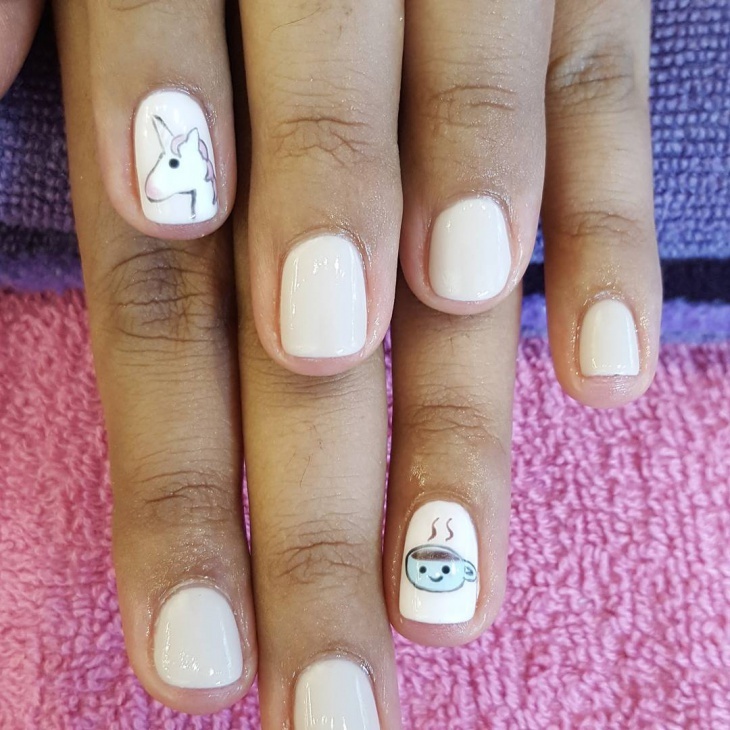 All you need is a bowl of water, tweezers, scissors, a good topcoat and you’re set! 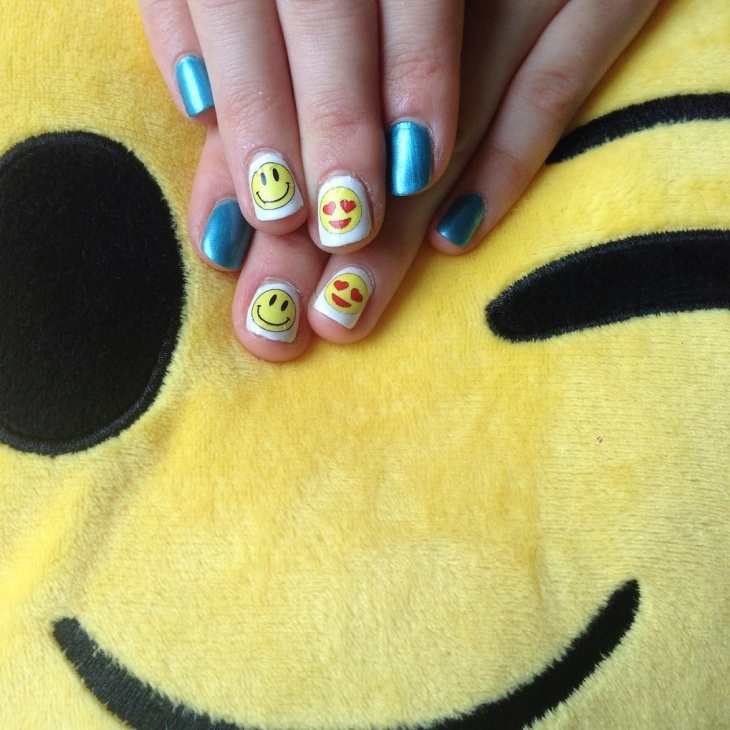 Emoji nail art is trendy, fun, fashionable and cute. Even though the designs may seem challenging, they basically consist of one-stroke lines and dots. 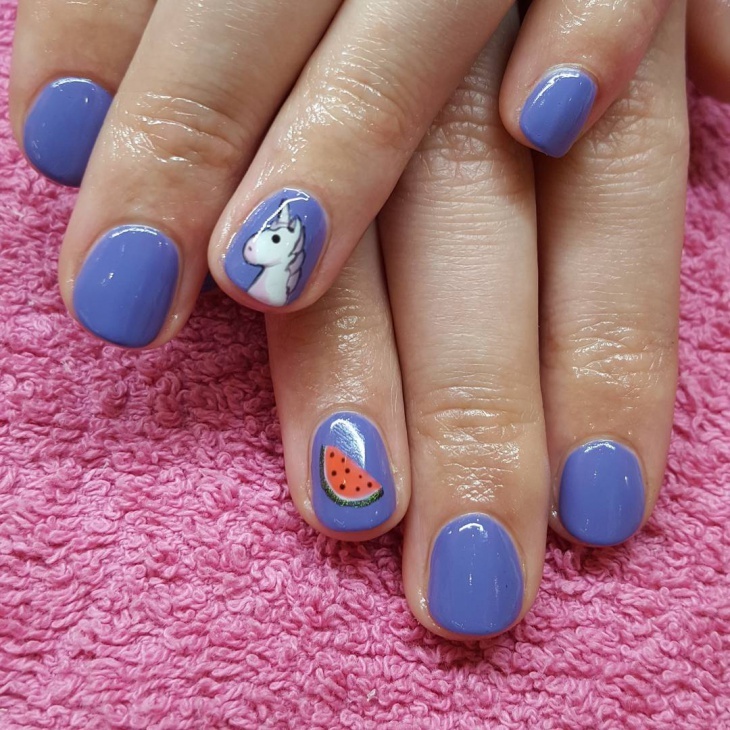 Hey, looking for a manicure or a pedicure? 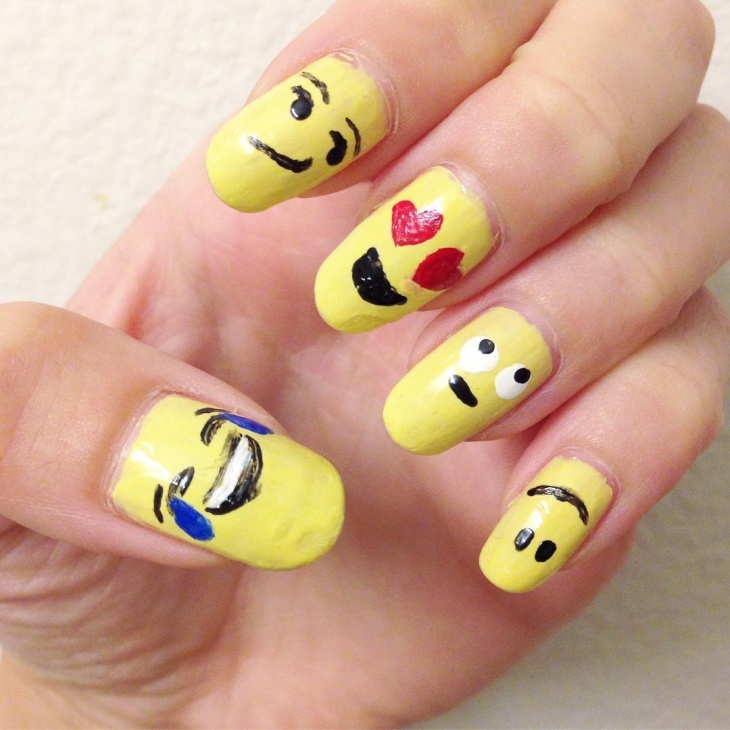 Try Emoji nail art and toe nail designs. They are very easy to follow even for those who are not very artistically inclined. You can pick the one that you feel confident enough to draw. 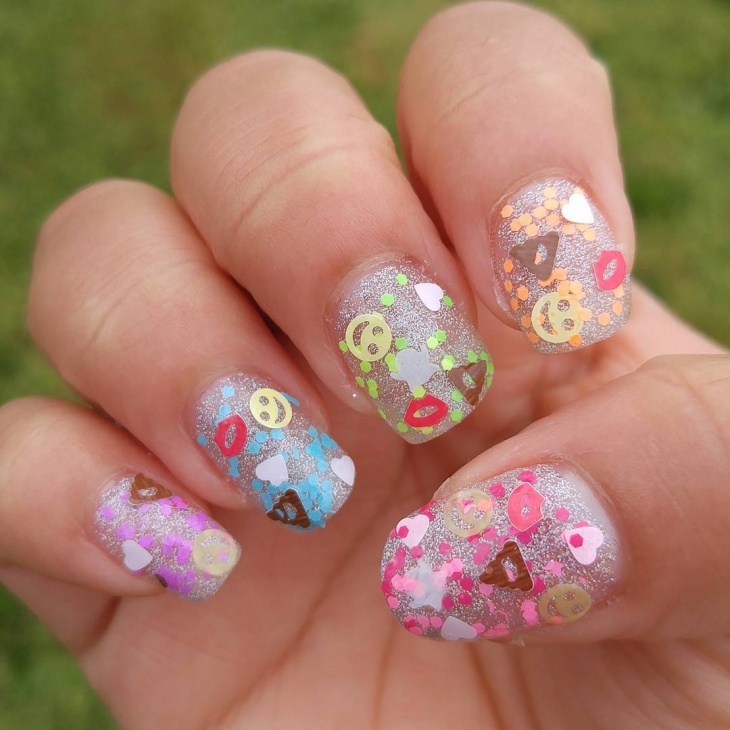 There are many websites offering guidelines on these cute, trendy styles on your nails.